Dr. Steven Shapiro’s breakthrough hair loss solution helps you keep the hair you have and achieve thicker, fuller looking hair. 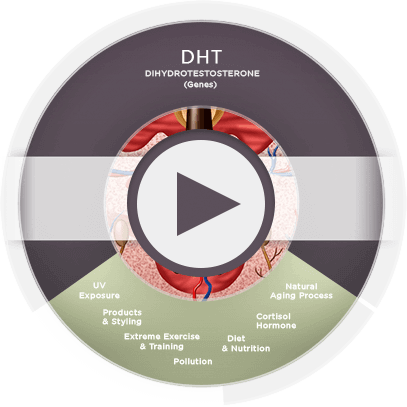 contains 3 potent naturally occuring active ingredients shown in numerous clinical studies to block the effects of dht, the hormone that activates the hair loss process. YOU'RE NOT ALONE – 55 Million Men suffer from hair loss & thinning hair. Our breakthrough scientific research identified many causes of thinning hair not yet being addressed in the market. Our Triple-action hair care aid shampoo originated in January of 2011 by Dermatologists Steven D. Shapiro M.D. and Michael T. Borenstein M.D. 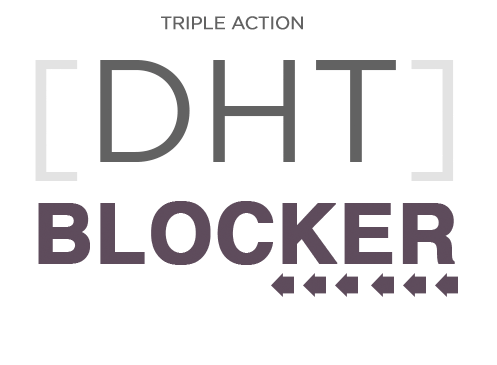 Ph.D. after 5 years of previous work on topical DHT (dihydrotestosterone) blockers. They used their background in Clinical Dermatology and patient experience to explore pathways to improving hair. Dr. Shapiro brought 20 years of clinical experience in hair loss and previous hair transplant procedure knowledge to Shapiro MD., Dr. Borenstein brought an intensive scientific background with his PhD in Pharmacology and years of clinical Dermatological experience. 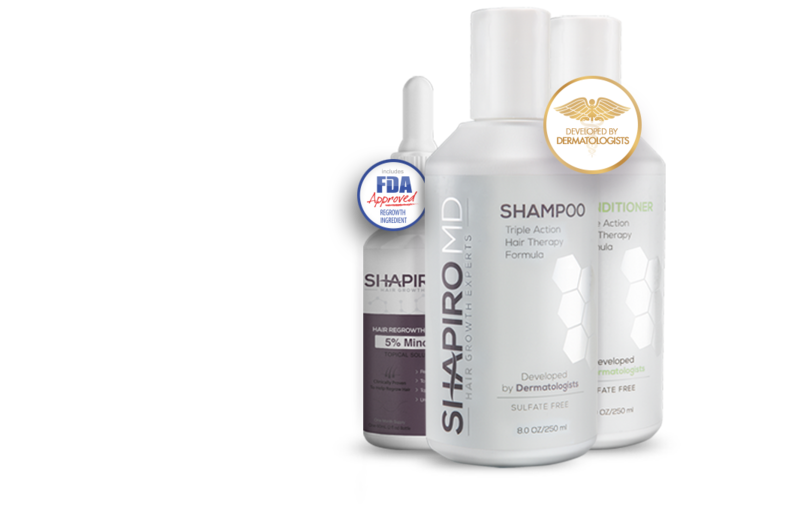 Together they have formulated the Shapiro MD Shampoo with three potent naturally occurring DHT blockers in an innovative sulfate free base to be safe and effective in improving hair. Only the best pharmaceutical grade ingredients have been used making this a high quality but cost effective shampoo. We are confident that you will achieve your desired results with the Shapiro MD hair care aid system, and we back up our promise with an Unconditional Money-Back Guarantee. If, for any reason, you are not satisfied with your order, simply return the unused portion for a full refund within 60 days of purchase. You will receive a no hassle, no questions asked, full refund of your order price (less shipping cost). So order today, risk free, you have nothing to lose but your self-consciousness about Hair Loss! *I’ve always struggled with losing my hair, but after using Shapiro MD for 2 months I’ve literally got new “baby” hairs growing... I actually got my first “real” hair cut in 10 years. I cant thank Dr Shapiro enough - you have restored the confidence back into my life. Forever gratefull for this amazing solution.